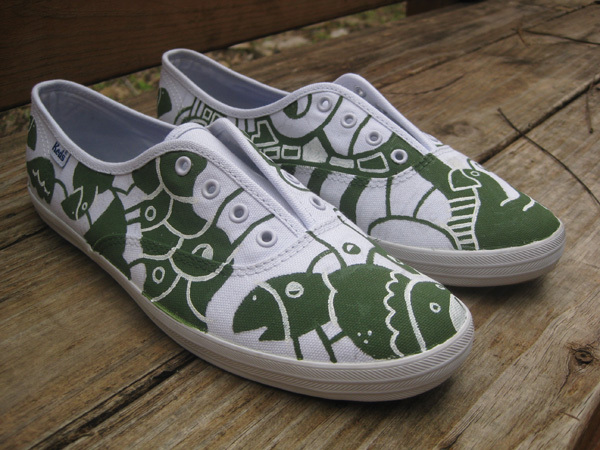 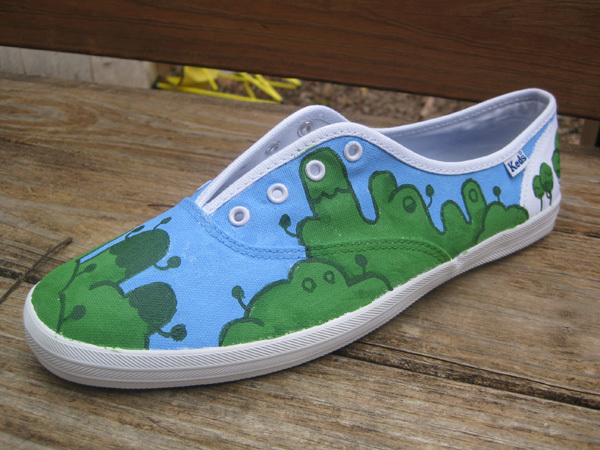 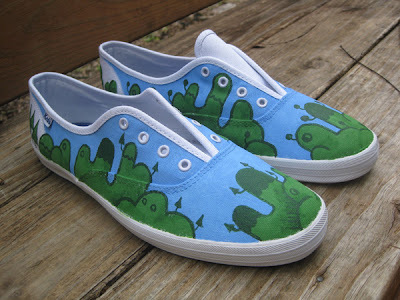 These shoes are inspired by UNT, the North Texas University that my lovely sister attends. I wanted to keep the color scheme straightforward, simple and reminiscent of the colors you would proudly see on display of her campus and closet. 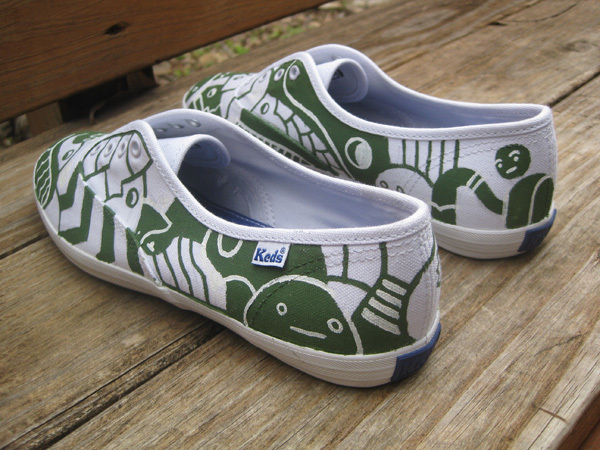 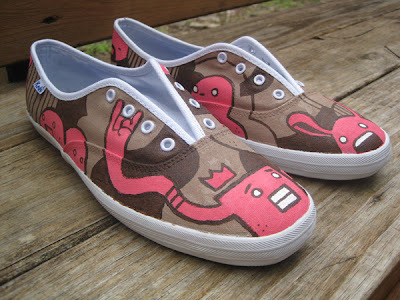 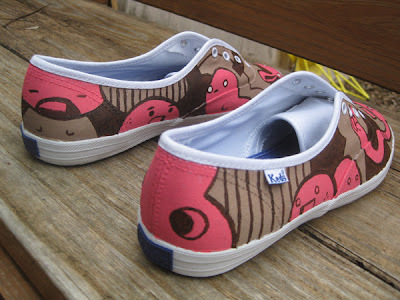 I think the resulting pair of KEDs achieve this artistic direction while also allowing room for my free form doodles to breath.